1 cup chopped pineapple ? 1 cup chopped canned peaches ? Mix the condensed milk and lemon juice together. Fold in the cream with vanilla. 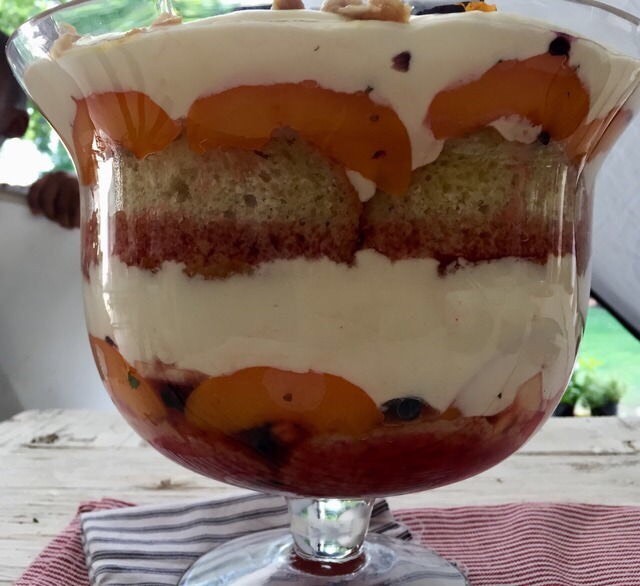 In a deep dish, layer the cake, fruit and cream mixture x2 layers.